Located in the resort area of Ocho Rios on Jamaica’s north coast, the 100 acre, Rainforest Bobsled Jamaica at Mystic Mountain boasts a sensational location featuring awe-inspiring views of the sparkling Caribbean, along with mountain streams and lush tropical hillsides. Situated between the coastlines and reaching up to the soaring hillside, the park features three unique and exhilarating attractions. 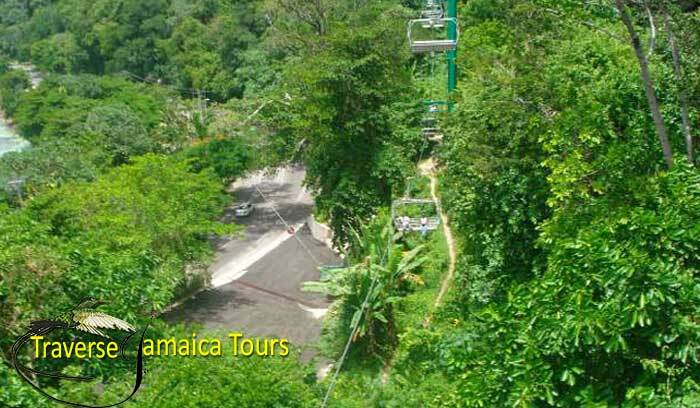 Rainforest sky lift explorer, transports visitors from the park entrance up 700 feet to the mountaintop where the trilling coaster bobsled Jamaica and the Zipline Canopy tour awaits. Experience the best of Jamaica’s beauty; a tropical coastal forest ecosystem, majestic hills and valleys, picture-perfect views plus the fun & excitement of riding a bobsled or a zipline!